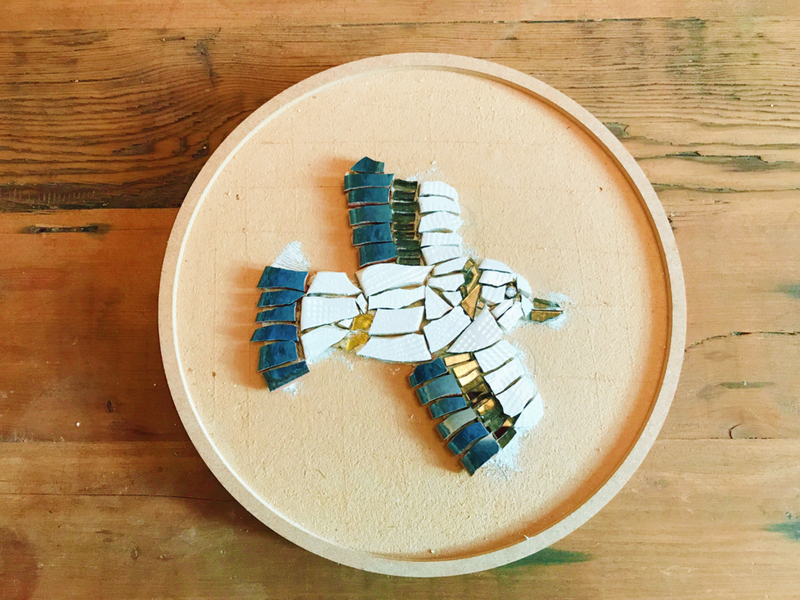 This flying little bird is created by Ms G using tiles, stained glasses and Millforeri. 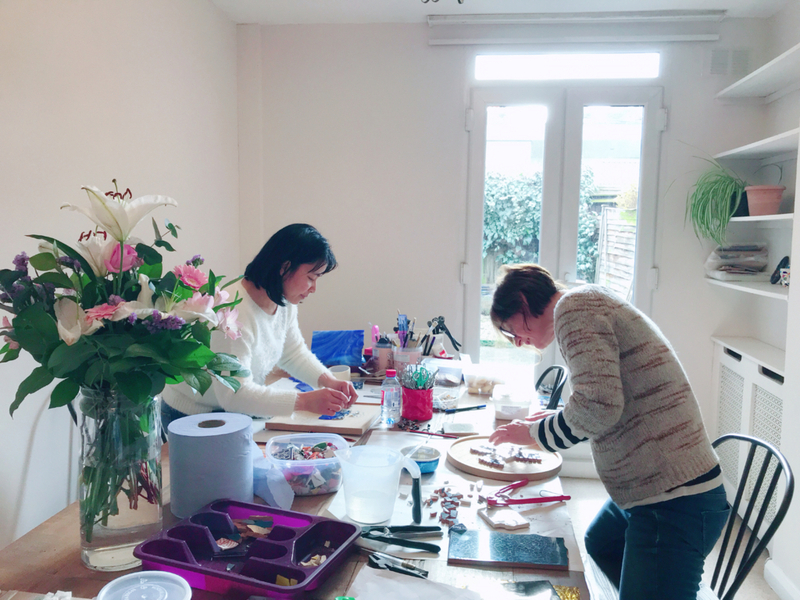 The shiny gold color glass adds a touch of elegance to her work. She also efficiently used the curved edge of the tile to make the wings look more like a 3D object. Very excited to see it completed!